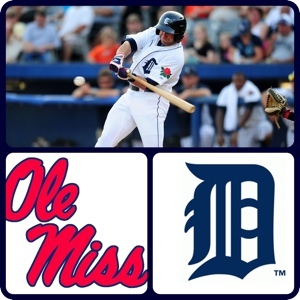 Zach was selected by the Tigers in the 29th round of this years first year player draft out of Ole Miss. He hails from West Monroe, Louisiana where he went to West Monroe High School. For his High School career he hit .415 with 16 home runs and 72 RBI. He also was a letterman in football there as well. In his final year at Ole Miss, Zach hit .286 with 13 home runs and 46 RBI. He currently plays for the Class-A New York-Penn League Connecticut Tigers. Where he’s posting a .233 with 5 home runs and 21 RBI. He’s also stole 8 bags. CST: When were you first exposed to the game of baseball? ZK: My older brother played before me, so when he would practice or have lessons I would go to. Whenever I was old enough to pick up a ball and bat I was at it. CST: What was it like playing in the NCAA Tournament? ZK: It was a neat experience. We were really close to making it to the Super Regional against UCLA, and with the three starters we had: Bobby Wahl, for sure first rounder next year, Mike Mayers, who I think will be a really high pick next year in the draft, and RJ Hively who was picked up by the Arizona DiamondBacks this year, I think we could have won that SR and went to Omaha. Unfortunately, we lost twice to TCU at College Station and that’s where it ended. CST: How would you describe your game? ZK: I’m a power guy at the plate, who’s going to drive in runs. I can also run a little bit and swipe some bags. Every now and then I’ll lay a drag bunt down to open up some holes in the infield and keep the defense honest so they can’t put a shift on. I’m not a guy who’s going to hit for a high average but I’m definitely a better hitter than I’ve shown so far in the NY Penn league. Defensively, I need to get a lot better to be where I want to be. I’ve been working a lot on getting my arm stronger and getting better on my jumps (routes) in the outfield. CST: In 2008, you were drafted by the Toronto Blue Jays in the 41st round straight out of Junior College (LSU-E). What made you decide to go to Ole Miss instead? ZK: I was a walk on there, and that’s where I was moved from the corner infield to the outfield. As a highschool baseball player I never saw myself as a professional baseball player, probably because I had never gotten any attention from scouts or many colleges. I knew I had a lot of talent, but I never went out and showcased them through summer ball. I went to a highschool football power house and baseball was secondary. My summers were usually spent doing summer workouts and two-a-days with the football team. I was was trying to move to the next level. So when I showed up at LSUE, I ran a good 60 in front of scouts and had a good batting practice and it took off from there. I decided to come back because I felt that I could play baseball in the SEC which was my initial goal on going to junior college as a stepping stone. 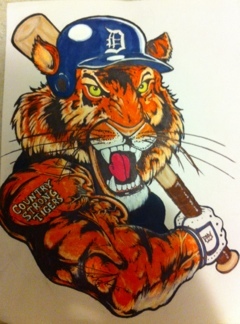 CST: You were drafted in the 29th round by the Tigers this year, did that surprise you at all? Or, were you just happy to be drafted? ZK: I had a really good year at the plate this year as a senior, but I was mainly a DH and had hardly any at bats against left handed pitchers. I only had 140 at bats and put up some good numbers, but I wasn’t sure it would be enough to get picked up. I had a lot of scout meetings, so I knew I had a chance. CST: What were your first initial thoughts when you heard your named called? ZK: It was a relief. I just wanted to get a shot to play some more baseball. CST: Where we’re you when you heard the news? ZK: I was actually at home working on some first base drills. I had a couple teams that wanted to see of I could play first. CST: Turning things away from baseball a bit, what are some of your favorite things to do in your free time? ZK: I love working out, it’s been a lifestyle for me since I was in middle school. So staying in shape and staying strong is something I’m always working on. It’s been a challenge with playing every day. My first month I was working out a little too hard and I realized that I was playing tired a lot. I had to back off the weights a little bit so I could be my best on the field. I also like to hunt, fish, and I used to be a pretty good golfer but I haven’t played in awhile. My hitting coach at Ole Miss made me quit. HaHa. CST: Couldn’t help but notice that we both share the same birthday with the G.O.A.T Michael Jordan. How cool is that? ZK: It’s one of the greatest days in history, you’re welcome MJ! CST: Person you looked up to growing up? ZK: I look up to my Dad a lot. It’s where I get my work ethic. CST: Favorite baseball player? Then and now? ZK: I loved watching Griffey Jr when I was younger. Sweetest swing in baseball. But I like a lot of guys, Gary Sheffield stands out. I dont know how he hit with all that movement in his swing. Today I love watching Albert Pujols. The way his swing is so simple but with so much power and torque is pretty incredible. CST: Favorite sports teams? Professional and collegiate? ZK: I really don’t have a favorite baseball team. There’s not a pro team in Louisiana so I never really kept up with a team, but I like the Texas Rangers a lot. They play gorilla ball, I love it. ZK: Not really, hit off the tee a bit before stretch and get after it. CST: Favorite music to listen to and or artists? ZK: I like a lot of different music but my favorite artist is Led Zeppelin. CST: Why did you choose the number you chose, any special reason or was it just given to you? ZK: I didn’t have much of an option. I think it was 27 or 56. CST: If not for being a pro baseball player, what would your profession be? ZK: I’d probably be working with my Dad, or doing something self employed. I don’t really want to work for anyone else other than myself. CST: Final question, where do you see yourself in 30 years? 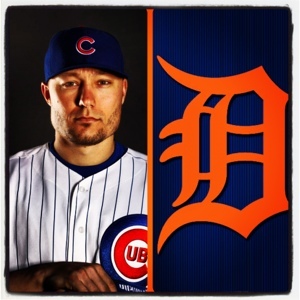 ZK: In thirty years….hopefully retired with a nice MLB pension! You can follow Zach on Twitter. Country Strong Tigers wants to wish former Detroit Tigers player and current 1st base coach, Tom Brookens a happy 59th birthday! As a manager, Brookens lead the West Michigan Whitecaps to a Midwest League Championship in 2007. In 2008, he was promoted to manage the Tigers Double-A affiliate the Erie Seawolves. Tom played for the Tigers from 1979-1988. 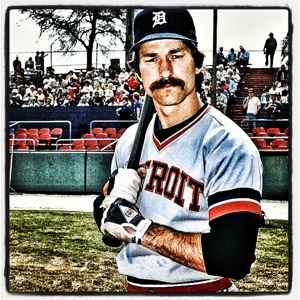 He was drafted 4th overall in the 1st round of the 1975 amateur draft by the Tigers. During his 10 years in Detroit, Tom compiled a .246 avg with 66 home runs and 397 RBI. Along the way, Tom earned himself a World Series ring with the Tigers in 1984. He ended his career 50 hits shy of 1,000. Doug Fister is starting for the Tigers. Jackson is getting a much needed/well deserved day off today. AJax last day off was back in early July for the All-Star break. Tigers’ are looking to take the series today if they can pull off a W.
get out of Detroit with a series split with a win today. It’s still within question as to if the Tigers and Yankees will be playing a game today. Rain has been falling in Detroit since early this morning but, watching this rain storms pattern, it looks like it’s slowly but surely moving off to the Northeast. Baseball should be played on-time if not after a short delay. Go Tigers! Eat ’em up! 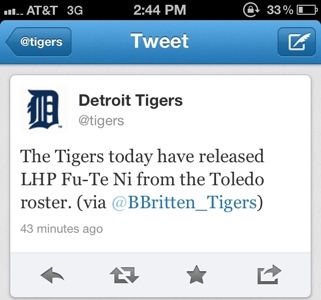 Just announced, the Tigers have released lefty reliever/starter Fu-Te Ni of his contract from Toledo. Fu-Te had been with the Tigers organization since the 2009 season when he signed a minor league contract to play for the Mud Hens. Before signing with the Tigers, Ni was a player in the Taiwan’s Chinese Professional Baseball League. 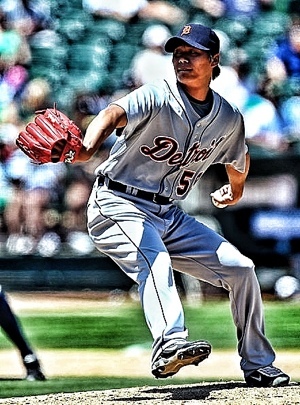 Ni made his Tigers debut on June 29th, 2009 against the Oakland Athletics. The first batter Ni faced was Jason Giambi and yeah, you guessed it, he struck him out. Ni hasn’t pitched since May 18th for the Mud Hens and had been on the DL off and on throughout the season. He first went on the DL on April 18th with shoulder problems. Then, on May 20th he was put on the DL again with a strained UCL (elbow) which ended his season for surgery. From 2009-2010 with the Tigers, in 58 games Ni went 0-1 with a 4.33 era, 43 strikeouts, 30 walks in 54 innings pitched. Needless to say, Ni never really figured it out. With all these shoulder/elbow issues Ni has been having, it’s a question as to wether he’ll pitch in the MLB ever again. Bruce Rondon, the Tigers top closer prospect, is now just a call-up away from the Big Leagues. 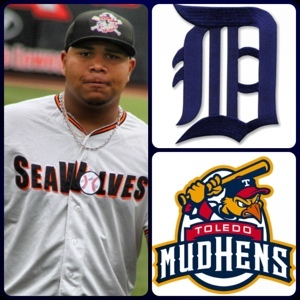 On Monday, the Tigers announced they were promoting Rondon from Double-A Erie to Triple-A Toledo. His call-up was impart to his outstanding numbers at Erie. In 21 games, he had an ERA of 0.83, 12 saves and 23 strikeouts. Also, the recent injury to Mud Hen closer Chris Bootcheck played a role in his promotion as well. 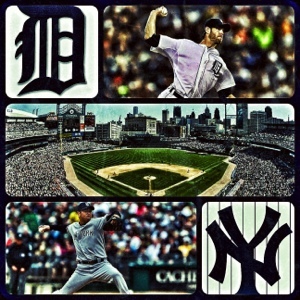 Tigers general manager and CEO Dave Dombrowski was quoted saying “He’s ready to go to Triple-A, in our opinion”. Bruce early in his career had issues with walking to many batters. His BB/9 (walks per nine innings) last year at Low-A West Michigan was 7.6. This year, it has improved vastly. Between both Lakeland and Erie, his BB/9 was 3.8. Rondon is the next Tigers closer in waiting, in my opinion. He has a real heavy fastball. At times, he’ll average 100+ mph on it. To go along with his fast fastball, is the slider, his out pitch. Which has a lot of movement on it due to his arm slot he throws from. If he can keep his BB/9 down and continue to strikeout hitters with regularity, he’ll definitely make a bid to make the Tigers roster in 2013. Which, if I know Tigers fans, he’ll be a popular choice to take over the Tigers closer role in favor of the Big Potato, Jose Valverde. On Sunday, the Tigers finally acquired the right-handed bat off the bench they had been looking for. Jeff Baker is his name and hitting lefties is his game. He will be wearing the #18 on his Olde English D uniform when he suits up on Monday for the series opener against the New York Yankees. Baker, the former Colorado Rockie and most recently Chicago Cub, was traded to Detroit on Sunday for two players to be named later. The Tigers will have until October 31st to decide which two players to send to the Cubs. Since the July 31st non-waiver trade deadline had passed, the Cubs had to place Baker on waivers to move him. The Tigers made a claim for him and then subsequently acquired him. Baker is a 31-year-old utility man who has started at the first, second, third base positions, as well as the two corner outfield spots. His versatility makes up for the recent demotion of former Tiger utility man Don Kelly. As well as a right-handed bat off the bench who can hit left-handed pitching. Jeff’s career number against lefties are quite impressive. He’s hitting at a .304 clip with 25 home runs and 97 RBI. Also, his OPS (on-base + slugging percentage) is quite high as well at .869. Even though this isn’t the most “sexiest” move by Dombrowski, I still believe it’ll be an effective one. In Baker, the Tigers will get a guy who can play multiple positions, which helps when giving regulars days off. A bat that’ll hit and hit well against lefties and just a flat out solid role-player off Jim Leyland’s bench which’ll play a key role in the Tigers playoff push. 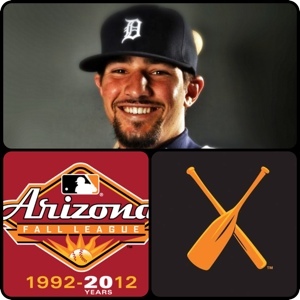 According to Mark Anderson of TigsTown.com, Nick Castellanos will be playing in the Arizona Fall League (AFL) this fall. Dave Dombrowski confirmed this through Mark via a discussion yesterday. He’ll likely be playing for the Salt River Rafters out of the West Division of the Arizona Fall League. 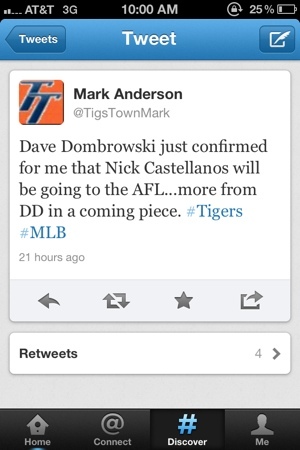 This is a wise decision by Dave and the Tigers organization to send Nick to the AFL in my opinion. It gives Nick the opportunity to get more AB (at bats), more time to learn how to play right field, and most importantly, more general baseball experience. In the last few weeks or so, Nick has been learning to play the right field position at Double-A Erie. This is impart to Nick being blocked at third base at the big league level by Miguel Cabrera. Learning to play the right field position gives Nick the best opportunity to play in the majors possibly at the end of the year or the next 4-5 years or so until Miguel vacates third base. Castellanos’ hitting skills are without question, the best in the Tigers farm system. He can flat out rake. Starting the season at High-A Lakland, Nick was hitting a cool .405 with 3 HR and 32 RBI. At both High-A Lakeland and Double-A Erie, he’s hitting a combined .359 with 9 HR and 51 RBI. That’s 415 AB worth of production. Sure, he strikes out more than he walks but, he’s still just 20 years old. Still a lot time for him to learn plate discipline and pitch recognition. If Nick can go into the AFL, takes care of business, play well in Spring Training, we could possibly be talking about him making the 25-man roster in the Spring of 2013. That’s how take talented this kid is.